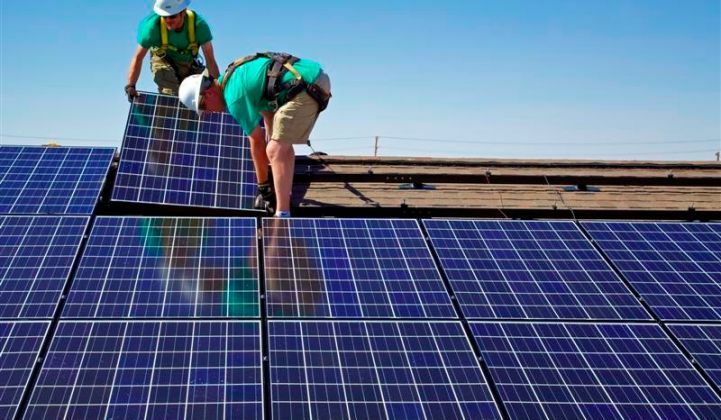 SolarCity (Nasdaq: SCTY), a provider of distributed energy, just announced a $500 million lease financing agreement with Goldman Sachs (NYSE: GS). That translates to more than 100 megawatts of solar power. The combined lease is the largest of its kind for U.S. residential rooftops. 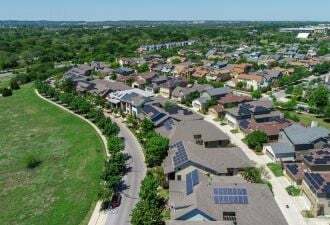 SolarCity allows consumers to get electricity from grid-tied solar rooftops at lower rates than the utility through leasing or power purchase agreements (PPAs). SolarCity specifically mentions the goal of opening up solar to consumers with lower credit scores in this release. Jimmy Chuang, SolarCity’s VP of structured finance, said, “We expect to be able to expand our offering to a broader customer base by lowering the credit requirements even further in future financings," according to a statement. Nicole Litvak, a researcher at GTM Research, notes that SolarCity, as discussed in its recent earnings call, is "delivery-constrained." She adds that SolarCity didn't raise its 2013 guidance even though it beat Q1 expectations -- so this fund won't help SolarCity install any more than planned unless the company can scale up its installation operations. 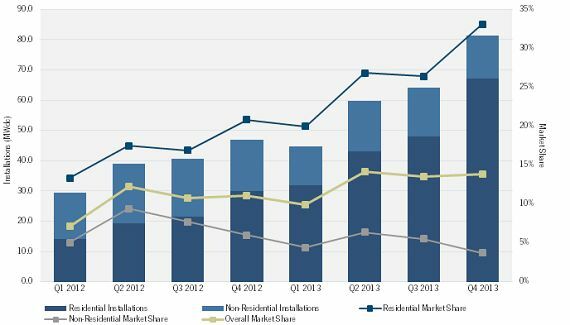 Litvak's research finds that SolarCity is number one in California but has surrendered the market leadership role in Massachusetts to upstart Vivint. Scott Burger of GTM Research adds, "When SolarCity says it is delivery-constrained, it is saying that it has more business than it can deploy boots to install. This goes back to the statement about wanting to decrease its backlog (i.e., projects booked that it can't install at the moment). Raising a fund like this will presumably continue to drive down Solar City's cost of capital, which in turn increases the retained value of any lease or contract." 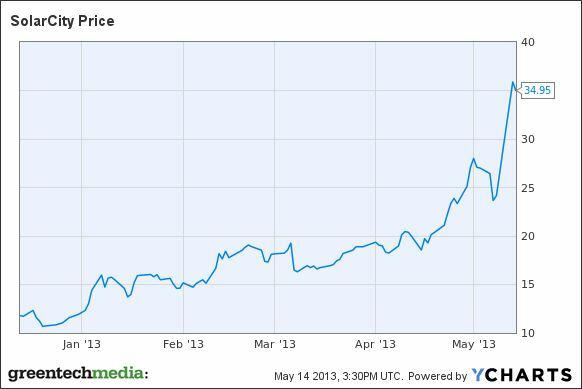 SolarCity (SCTY) announced its Q1 2013 financial results earlier this week, in its first full quarter as a public company. Here's a transcript of the call. SolarCity defines "Retained Value" as the forecasted net present value of estimated Nominal Contracted Payments Remaining and estimated performance-based incentives allocated to SolarCity, net of amounts the firm is obligated to distribute to its fund investors, upfront rebates, depreciation, renewable energy certificates, solar renewable energy certificates and estimated operations and maintenance, insurance, administrative and inverter replacement costs. This metric includes Energy Contracts for solar energy systems deployed and in Backlog. SolarCity's calculation of retained value assumes a discount rate of 6 percent. 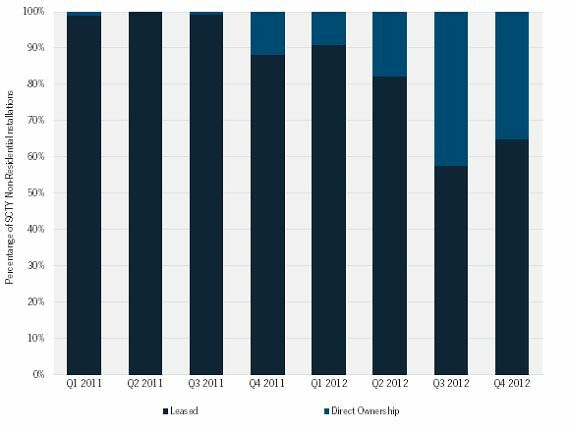 For Q2 2013, SolarCity expects to deploy between 48 megawatts and 53 megawatts. 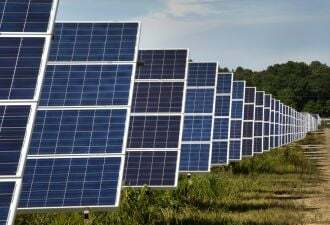 The firm stayed steady on its 2013 guidance of 250 megawatts with Q2 Lease and Solar Energy Systems totaling $21 million to $28 million at a gross margin between 40 percent and 55 percent. The company anticipates being net-cash-flow positive by Q4 2013, as well as having a positive net cash flow in Q2 2013. 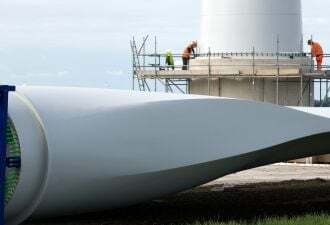 When confronted with some technical slide-related issues at the beginning of the call, CEO Lyndon Rive said, "It's a good thing we're not selling software and we're selling energy."